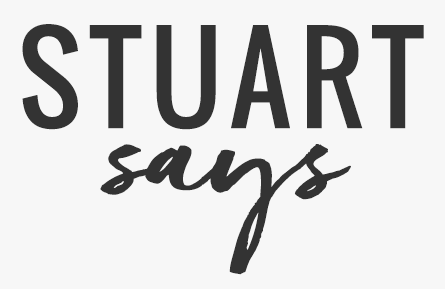 I absolutely can’t wait to share something with all of you today! My followers know that I’m always on the go, and I never want to miss out on precious time with my baby. That’s why I stay on the lookout for products that make it easy for me to bring Asher along whenever I can. 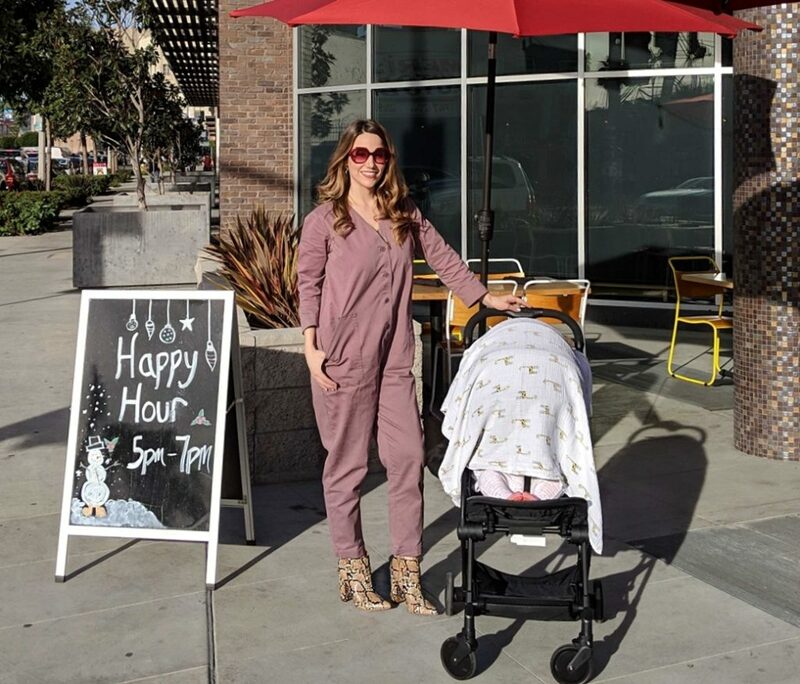 When I read about the Contours Bitsy Compact Fold Stroller, I was a little skeptical that it would be noticeably different from any other stroller, but I decided to give it a try and I’m so glad I did! This stroller is lightweight and packed with features, but most importantly I feel like Asher is safe riding in it. Now I almost never take him out of the house without it! 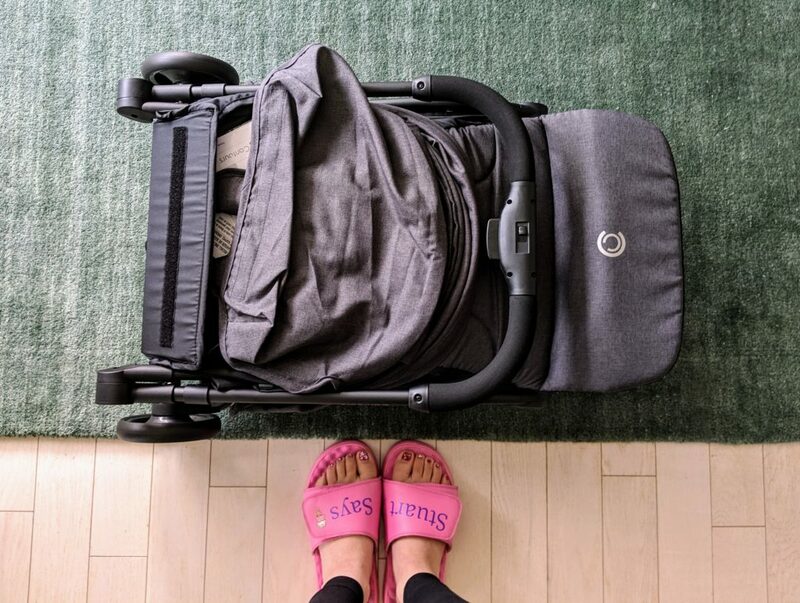 It’s amazing how sturdy the Contours Bitsy Compact Fold Stroller feels, considering it only weighs 13.5 pounds, (My baby weighs more than my stroller!) but what’s really impressive to me is that it also fits a car seat. 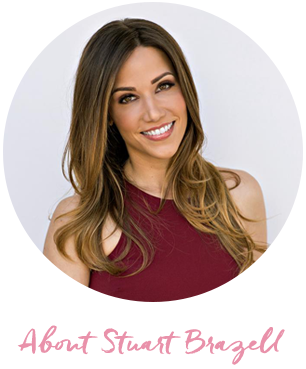 For mamas-to-be or new moms who are just getting started, what a lifesaver! 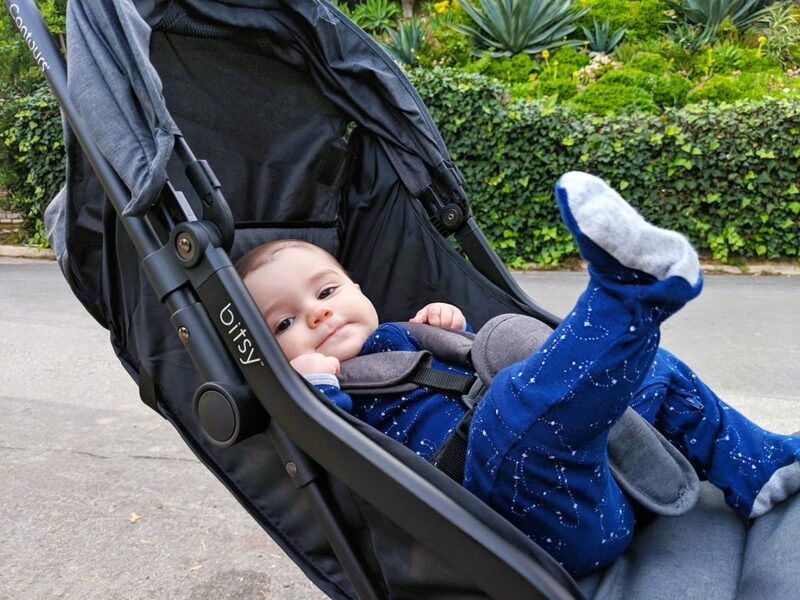 No adapter needed for over thirty different infant seat models, so whether you are rocking Safety 1st, Graco, Peg Pérego, Chicco, or something completely different, this stroller is going to make your life a lot easier. We love neighborhood strolls, and this is helpful for super sunny or windy days. I don’t have to worry about Asher outgrowing the Bitsy for ages, since its maximum weight is 40 pounds. When they call the Bitsy “Small but Mighty”, they mean business. We’ll be taking this baby everywhere our baby goes for the next few years, and I’m not just talking about a stroll down the neighborhood! Motherhood hasn’t dampened my passion for travel, in fact we’re taking Asher on his very first international trip later this spring. We’re going to Japan, and you know what that means: air travel! From check-in to security to the plane itself, flying is both an adventure and a hassle. Even before the baby days, a lot went into planning such a big trip. With our new stroller, least I know that I can navigate the airport and the plane with ease and save my stress for the packing. 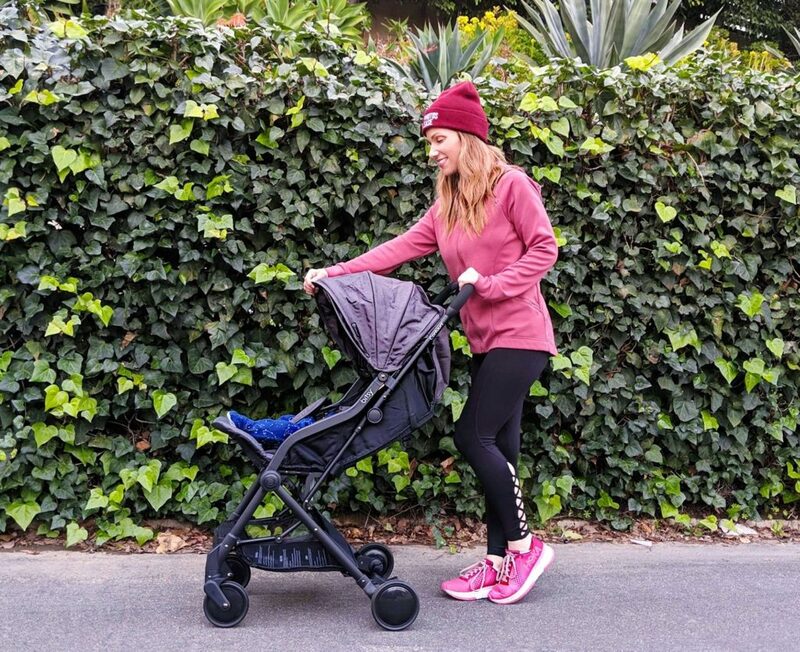 The CContours Bitsy Compact Fold Stroller opens and closes with one hand–which is all I ever have to spare these days anyway–and it stands by itself when folded so that it takes up almost no space at all compared to other strollers. It even fits into most airplane overhead compartments. That’s right, throw it in the Bitsy Bag and you have a carry-on! When we land, the Bitsy will be amazing for navigating our new surroundings. The extended canopy, adjustable leg rest, and 145° reclining seat are perfect for long naps in the sunshine while Mom and Dad explore. 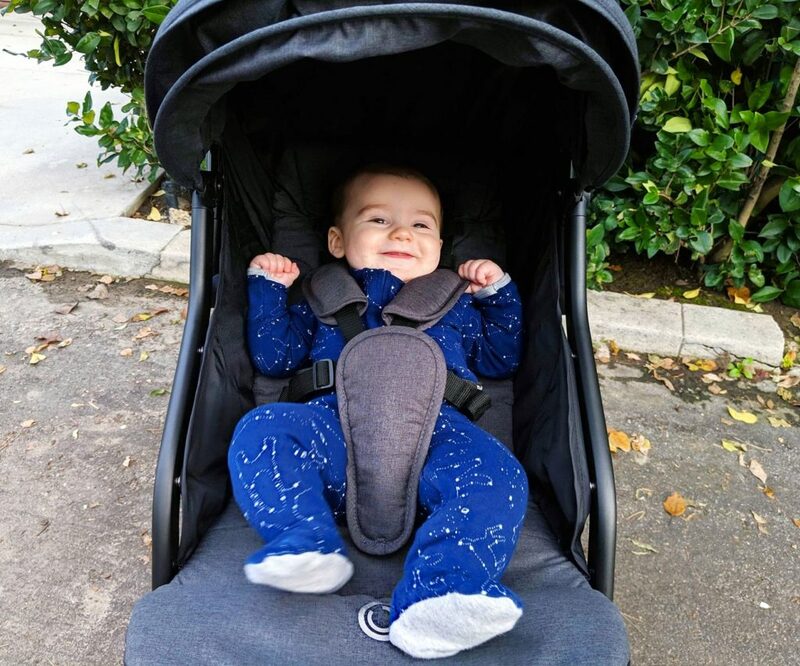 I love that I can check in with the mesh peek-a-boo window to make sure Asher is happy and comfortable without disturbing him, and the sandal friendly brake is super easy to engage and release, so no more sore toes from trying to flip a stubborn brake release back up! The all-wheel suspension makes for a smooth ride even in tight quarters, and I can keep extra supplies for all of us in the handy storage basket underneath. Are you a travel-loving mama with a globetrotting baby? You can get the Contours Bitsy Compact Fold Stroller and lots of great accessories for it at ContoursBaby.com! If you have any helpful tips for traveling with a baby, make sure to comment below. Be sure to follow me on Instagram and Twitter for more information about this amazing stroller and updates on our preparations for the big trip! This is a sponsored conversation written by me on behalf of Countours Baby. The opinions and text are all mine. I know the stroller. My daughter just brought it to Florida when she came to visit. The best! This stroller seems so nice!! Looks like a great stroller! Love one that is great for traveling! Omg loving this whole post! That stroller looks so amazing and easy to travel with! Can’t wait to also check it out! Thanks for sharing!